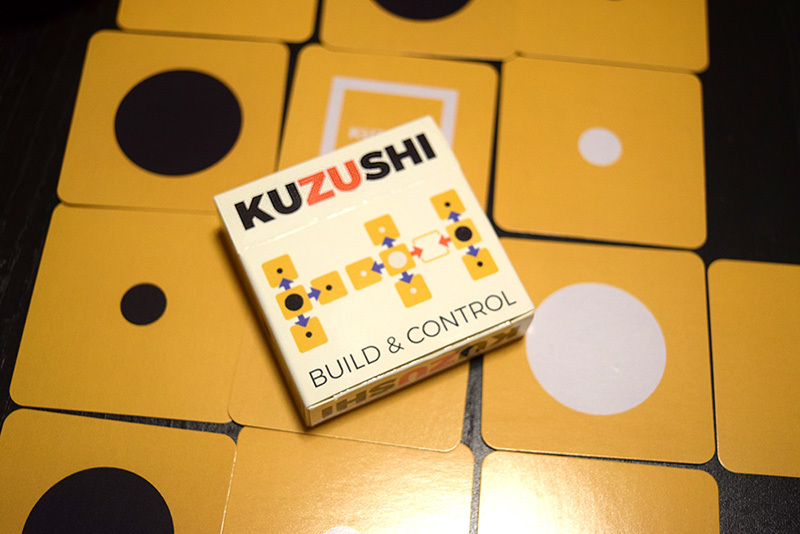 Kuzushi is a pocketful of game, providing a tightly tactical and abstract 2 player experience into just about the smallest package possible. Either place one of your bases into the field adjacent to another card, or you will flip over one of your flags, turning it into a base. Add flags to areas you control next to your new base. That’s it. And that’s plenty. Each time a base gets added to the field (either by being placed or by having a flag flipped over), you will check for control over all spaces adjacent to it. You control a space if you have the most adjacent bases to it. If, by virtue of your opponent adding a base (either by flipping a flag or dropping one in), you lose control of a space, a flag you have there is returned to your hand. So it’s important to both strategically add cards to the field in order to disrupt your opponent’s designs and to protect your own. 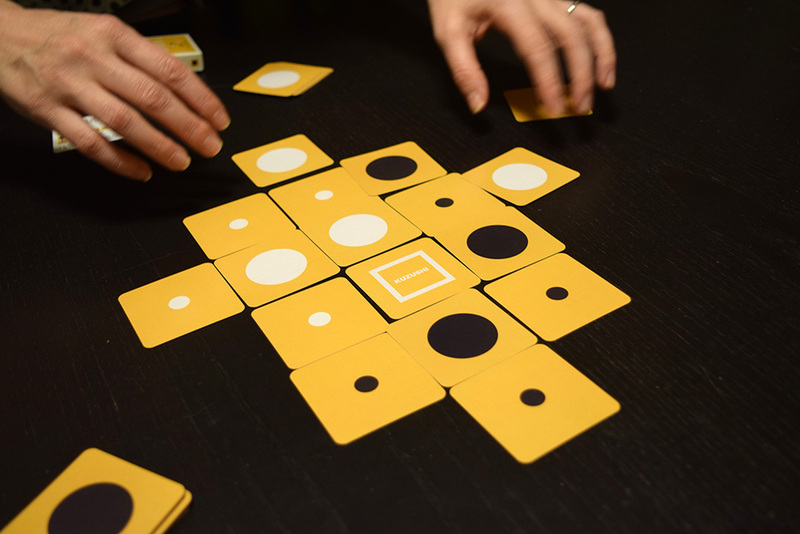 Kuzushi is a sublimely simple abstract with the sort of minimalism that will really appeal to some players, myself definitely included. It’s a perfectly portioned helping for two, providing a few minutes of quick strategy. Considering its price point, form factor, and portability, I think Kuzushi can easily fit into anyone’s collection (and pocket), and will add plenty of game opportunities for those who appreciate its accessible design. Cookie for reference, not included. Kuzushi can be ordered directly from Gobico at their website! And for those looking to add a couple more playmates to their game, Kuzushi Seasons is up on Kickstarter right now! This version of the game retains the original’s sublime simplicity, but adds enough components to play up to 4. And while I genuinely love the stark minimalism of the original, the new floral theme makes for a pleasant table presentation. The Kickstarter only has one day left, so I highly recommend checking it out now! Previous Post:Ghostbusters: The Card Game coming soon! Next Post:New Meeply Stuff in Our Store! Thanks for taking the time to review Kuzushi! So happy you like it. 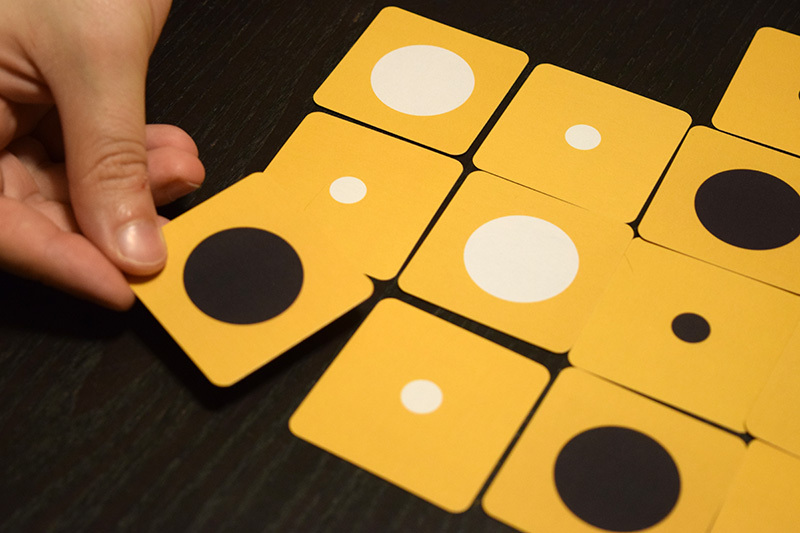 Kuzushi Seasons comes with 4 decks and plays on a larger board with 2-3 players, and adds dimension to the game that only a table full of players can. You can also mix and match Kuzushi sets, so we have players itching to try 6 player variations (including 2 teams of 3!) 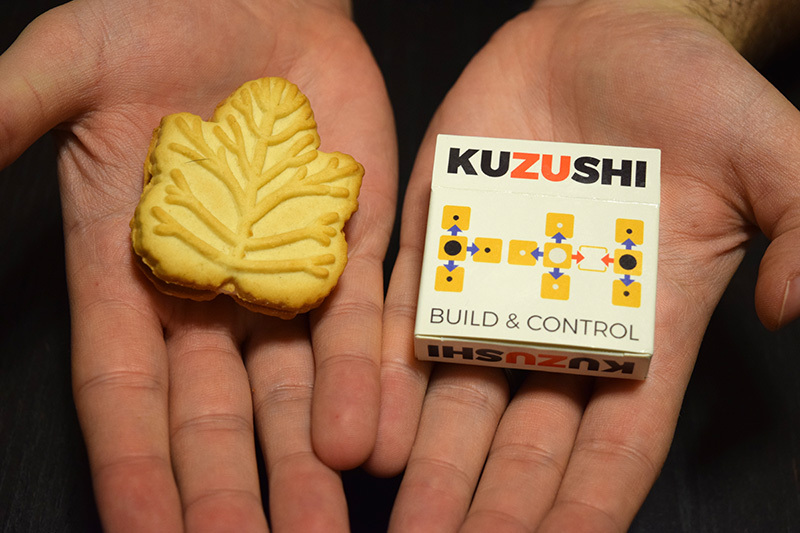 Our Kickstarter funding is complete and we’ll be shipping out the first batch of Kuzushi Seasons in a few weeks! Meantime, we do still have some of our original printing of the original Kuzushi available from our website link above. Thanks again! !